Active as a conductor, teacher, author, and clinician, Tony Thornton received his Bachelor of Music degree in Music Education and Voice from Westminster Choir College, a Master of Music degree in Choral Conducting from Louisiana State University, and his Doctor of Musical Arts degree in Choral Conducting and Historical Musicology from the University of Arizona. He has studied conducting with Joseph Flummerfelt, Kenneth Fulton, Frauke Haasemann, Margaret Hillis, Bruce Chamberlain, Donald Neuen, and Constantina Tsolainou. Trained first as a singer, Dr. Thornton has performed as a tenor soloist throughout the United States, Europe and Asia. As a member of the Westminster Choir, he performed at the Spoleto Festivals in both Italy and the United States, and he has recorded with Leonard Bernstein, Riccardo Muti, Claudio Abbado, and Zubin Mehta. He sang for seven years as a member of the Grammy Award-winning Robert Shaw Festival Singers. As a guest conductor and clinician who is active on the national and international choral scene, Dr. Thornton has worked with over 400 women’s, men’s, and mixed choruses in public schools, colleges, churches, community and professional organizations organizations in 24 states, Japan, and throughout Europe. A strong advocate for the choral arts, Thornton was engaged for four years by the Beyond the Bell Branch of the Los Angeles Unified School District – the second largest school district in the nation – to present choral pedagogy workshops to music teachers and choral master classes to students in middle and high schools. In this capacity, he had the opportunity to work with thousands of singers and their teachers. 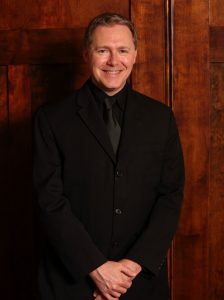 Dr. Thornton is the author of The Choral Singer’s Survival Guide (giamusic.com) and he maintains a choral series in his name at Colla Voce Music. He has held teaching positions at California State University-Los Angeles, Los Angeles City College, and Pomona College. He is the Founding Artistic Director of Los Angeles Choral Artists and he was the Music Director of the Tucson Masterworks Chorale from 2006-2008. Dr. Thornton is the Founding Artistic Director of Illuminati Vocal Arts Ensemble. At UMass, he oversees an extensive choral program, conducts the Chamber Choir, teaches undergraduate and graduate conducting, guides the graduate program in choral conducting, and serves as director of the choral area for the UMass Summer Conducting Institute. He has taught as a Summer Session and Saturday Seminar faculty member at Westminster Choir College of Rider University. Dr. Thornton is currently President-elect of the Massachusetts chapter of the American Choral Directors Association, and he holds active memberships in ACDA, Chorus America, the National Collegiate Choral Organization, and IFCM. He is a national member of Phi Mu Alpha. Stephen A. Paparo, Assistant Professor of Music Education, teaches undergraduate and graduate courses in music education, supervises student teachers, and conducts the University Chorale. He holds a Ph.D. from Michigan State University, a Master of Music from Syracuse University and a Bachelor of Music from Ithaca College. He is also a Guild Certified Practitioner of the Feldenkrais Method® of somatic education.As a former public school teacher, Dr. Paparo taught junior and senior high school choral music for ten years in New Hartford, NY, and earned National Board Certification in 2003. He has conducted several All-County choruses in New York State and is the director of choir and voice for Signature Music Camp. Dr. Paparo has presented at state, national, and international conferences, including Michigan Music Conference, LGBT Studies and Music Education Conference, Suncoast Music Education Research Symposium VIII, Leading Music Education International Conference, The 7th International Symposium on the Sociology of Music Education, Phenomenon of Singing International Symposium VIII, and is published in the Michigan Music Educator. His research interests include embodiment in music, informal popular music learning practices, diversity in music teacher education, and choral music education. 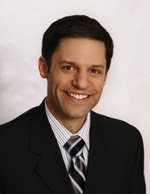 Dr. Paparo is currently President of the Massachusetts chapter of the American Choral Directors Association.